Become part of building the next big company within mobile marketing! We are bringing the Snapchat experience to apps, starting with mobile games. In everything we do, we strive to build the best possible product. Our goal is to combine simplicity and power to deliver a megacool experience. We believe that the more you challenge yourself, the more you learn. It’s an indisputable fact: being part of a start-up is a hell of a lot of work, but extremely rewarding and satisfying. You can read about all our quirks here. Would you like to create something used by millions of people? Megacool is redefining the way we share game moments, by making it easy to capture and share GIFs with a link to the game. We’re a small company looking for people who want to challenge themselves. You’ll be part of a technical team working from San Francisco, USA. Our stack is built with Node, Python, Postgres, Saltstack, Objective-C (iOS), Java (Android), C++ and Unity, so you’ll get an opportunity to work on a lot of different things. You will work closely with other developers. If you tolerate bad humor and get a kick out of seeing your code used by millions of people, come work with us! Through our startup experiences, we've learned the importance of building a company culture for learning and transparency. We make sure to challenge each other and strive to give our best. We focus on team process and help each other to reach higher. We always ask ourselves: was this the best way to do this? Evaluation and open communication are core parts of our culture. The gaming industry is made up of fantastic people who try to make a living giving you a highly engaging and fun experience. Unfortunately, it's really hard to break through and it's only getting harder. There's no more: "Make it and they will come!" With Megacool we are working on making a difference and making the tools that will even the playing field. We could have written competitive salary, but that means very different things to different people. Rather we aim at paying you not too much, and not too little. Your salary shouldn't be a concern, but if you are looking for the high end of the market then this is not the place for you. Your motivation should be the ability to learn and view Megacool as an important stepping stone for your future. We have allocated stocks options for future Megacool employees. The earlier you join, the bigger portion of the pool is available. We believe in effective work rather than crunching the most hours. We also know the importance of taking a proper break from reality to refuel. Where are you going on vacation next? And by the way, this is absolutely mandatory! For the last three years, we've kicked off the new year with an active gathering, e.g. going skiing. We look forward to having you join us for the next retreat. We offer full medical and dental coverage! Whaaat? Yes, after check-in in the mornings we do a circle high five. When you leave the office in the evening, we give each other a good night hug. Read why here. We don't believe in excruciating technical interviews, so if we think you seem like a great fit we'll do a mini hackathon to test how it's to work together. This is for both of us to evaluate whether we like working together. If this sounds hard to do because of your current employment situation or location or something else, let us know and we’ll figure something out! We are building a world-class engineering team with diversified skills and backgrounds. Our Android SDK will be used by millions of devices every month, so talented engineers is a top priority. We are looking for an experienced Android developer to continue the work on our SDK. Take a look at our Android documentation to see how it works today. Develop new versions of Megacool’s Android SDK. Lead the architecture and design of SDK features. Contribute to design and development of the back-end API that supports the SDK. Work closely with integration engineers to support various publisher apps. Solve challenging problems in the areas of on-device caching, memory management, multi-device support and more. Maintain SDK stability supporting multiple Android versions and devices. Strong understanding of multithreading, concurrency, and memory management. Working knowledge of Android Studio, REST APIs, git. A passion for the Android platform, and staying up-to-date with the latest platform developments. Knowledge of fundamental Computer Science and Software Engineering concepts. Working familiarity with games, apps, etc. is a plus. Experience building SDKs, frameworks, APIs, C/C++ and libraries are a plus. We are building a world-class engineering team with diversified skills and backgrounds. Our iOS SDK will be used by millions of devices every month, so talented engineers is a top priority. We are looking for an experienced iOS developer to continue the work on our SDK. Take a look at our iOS documentation to see how it works today. Develop new versions of Megacool’s iOS SDK. Maintain SDK stability supporting multiple iOS versions and devices. Working knowledge of XCode, Instruments, REST APIs, git. A passion for the iOS platform, and staying up-to-date with the latest platform developments. Experience building SDKs, frameworks, APIs, and libraries is a plus. We are building a world-class engineering team with diversified skills and backgrounds. We are looking for an experienced Unity developer to improve and extend our Unity plugin with new features. It’s a wrapper on top of SDKs built native on iOS and Android. Take a look at our Unity documentation to see how it works today. Work on new features and maintain existing ones. Improve the use of Unity Camera to record a scene. Add UI elements to the plugin. Better handling of OpenGL/Metal support. Experience with Unity and C-Sharp. Self-driven, curious, always seeking to learn new skills and want to challenge yourself. Motivated to make a change in the game industry. Big plus if you have experience with Android/iOS development. Interested in applying? 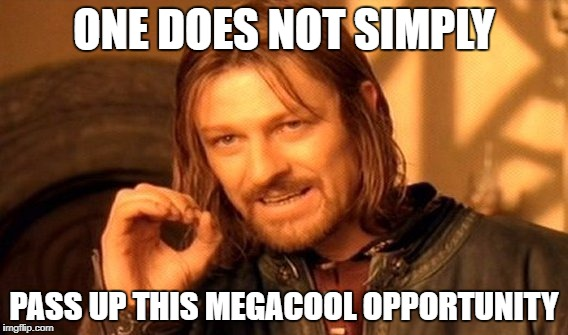 Send your resume to jobs@megacool.co. We also accept open applications. Don't hesitate to reach out if you have any questions.